In a world where big data is continuously touted as "the new oil" and U.S. companies are shutting their websites down rather than following increased European privacy rules, why should we care or worry about privacy? Is privacy dead? If not, should we work to preserve it? In this talk, we'll dive into privacy for data science and why ensuring privacy for machine learning contributes to creating more ethical and fair models. We'll dive into research related to fair-and-private machine learning algorithms and privacy-preserving models, showing that caring about privacy and working to preserve user privacy in your machine learning workflows can help ensure a better model overall and support a more ethical product design. 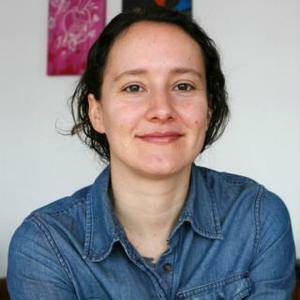 Katharine Jarmul is a pythonista and co-founder of KIProtect, a data science and machine learning security company in Berlin, Germany. She's been using Python since 2008 to solve and create problems. She helped form the first PyLadies chapter in Los Angeles in 2010, and co-authored an O'Reilly book along with several video courses on Python and data. She enjoys following the latest developments in machine learning, ethics and privacy in data science, natural language processing and workflow automation infrastructure and is generally chatty and crabby on Twitter, where you can keep up with her latest shenanigans (@kjam).